Published on 27. January 2013. 3 Comments Tags: debian, linux, ssh. 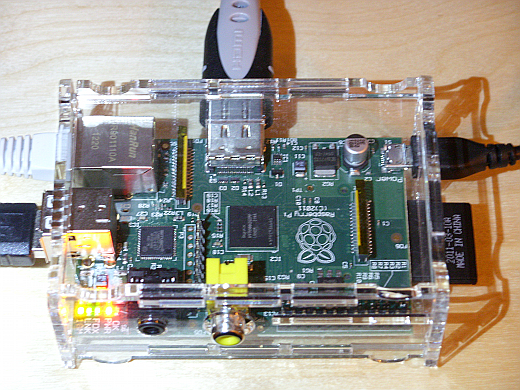 The Raspberry Pi is a single-board computer that plugs into a TV and in combination with OpenELEC it is a DIY Media Center running XBMC which plays videos up to 1080p. There are two different types of Raspberry Pi boards (Wikipedia). Both have a 700 MHz CPU based on ARM11. But only Model B has a Ethernet connector and up to 512 MB RAM which is shared with the integrated GPU. You can connect it to your TV through a HDMI or Composite Cable. If you order only the board, you still need a SD Card for the operating system and a Micro USB power supply. Maybe you already have both from an old mobile phone. In my case it works perfectly with a micro SD card and a SD adapter. If you want a nice case to protect your Raspberry Pi against dust, you should order this also. Or if you prefer a special design search one at ebay later. There a some prepared Linux images, like Debian, Arch Linux and RISC OS, which you can download from raspberrypi.org but if you want to set up a XBMC continue this guide. The GPU is optimised to play .mkv files out of the box, because H.264 encode and decoding is included by default. Also .avi files will play by default. Only if you later wish to play MPEG files like .mpg, .mpeg, and .m2v or VC-1 files like .wma and .wmv you need additional license keys which could be ordered separately. Beside some other XBMC images like Raspbmc and XBian, I always prefer openELEC because after some testing I figured out, that it is most up to date, very fast and easy to use. Now insert the SD Card into your RPi, connect at least the HDMI and the power cable to start the show and have fun! 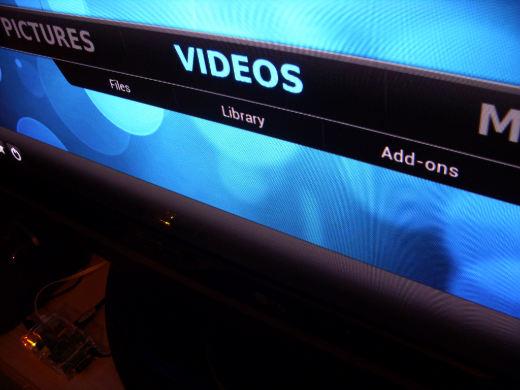 There are some apps to control your XBMC remotely. But you probably have to enable it first in the options. With a extrenal USB Mouse this is easily possible. 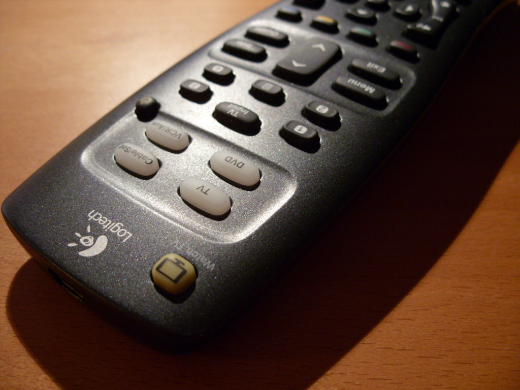 More comfortable is a real hardware remote control and if you already own a Logitech Harmony you also need a RC6 IR receiver and set the profile to Windows Media Center SE. To switch the audio stream add hash (#) and to switch the subtitle add star (*) to your Harmony profile at myharmony.com (see: remote.xml). For more information see the links below, and maybe search for “rc6 ir” or “mce ir” at ebay. In my case a “HP MCE Remote Control” works with the mentioned profile out of the box. Fastidious answers in return of this question with genuine arguments and explaining everything concerning that.